Getting yourself behind the wheel of a great value rental vehicle is easy with Sixt car hire Hounslow. Our rental branches can currently be found within all major terminals of Heathrow airport. When flying into this sceptical of an airport simply take the short walk to one of our of closest rental branches - from here you will be able to collect your Hounslow car hire if you booked in advance or if you are booking on the day our experienced team will strive to find you the best rental solution to suit your needs. 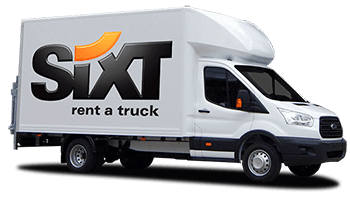 Car rental in Hounslow with Sixt is a quick and easy process. There is a great range of cars available, including SUVs, convertibles and even vans. In fact, some can accommodate as many as 17 passengers! 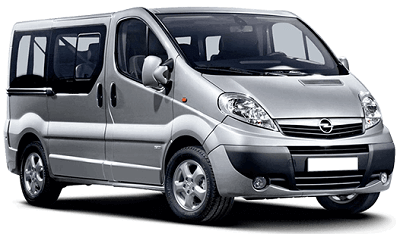 For navigating easily with many friends and family, choose a Sixt minibus hire in Hounslow. It matters a great deal that collecting your vehicle is easy and straightforward, so you can drive away as soon as possible after you arrive. If required, drivers have the option of adding accident protection and LDW insurance to their cover. Car hire in Hounslow is easiest if you do so online. That way, your vehicle will be ready and waiting for you when you arrive! Hounslow is a borough and a suburb of London, which lies around 10 miles from the centre of the capital. It has a large shopping centre called the Treaty Centre and, adjoining it, a bustling high street with some good shops and restaurants. There is plenty of parking nearby including a multi-storey car park. To the west of the borough is one of the largest open areas in London, Hounslow Heath, which is an ideal venue for sport and recreation. There are several car parks within walking distance of the heath. A popular local attraction is Osterley House, a 16th century mansion set in Osterley Park. Both are well worth a visit: the house is one of several built as country retreats for wealthy London families. Today the house is owned and operated by the National Trust. Car hire in Hounslow means the affluent town of Windsor (synonymous with Windsor Castle) is only a short drive away. The town is said to be one of the most desirable places to live in the United Kingdom: it is a pleasant, friendly place which enjoys a more relaxed pace of life than London itself. If you have a family, the short drive to Kew Gardens is highly recommended. The gardens and glasshouses cover an area of over 100 hectares and plenty of parking is available nearby. In short, cheap car hire in Hounslow opens any number of possibilities: London is ready and waiting for you! If you require extra room then feel free to also check out our information in relation to Hounslow van hire.